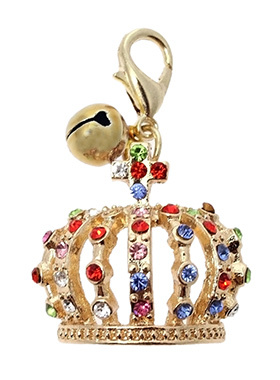 Designed in the style of the crowns of the Imperial Russian Court this beautiful charm features green, blue, red and pink diamanté crystals set in gold alloy. This is an accessory fit for royalty. It also has a little silver bell that lets you know when you dog is the move. You can't much more bling than this, but sure if you have it flaunt it!